Are you interested in being considered for our video design team? If so, please check out the details below. We are excited to have you apply. 1. Love to make You Tube videos and Periscope. If you don't Periscope, you must be willing to learn. 2. Your videos are to be instructional (how to) videos. We want to see you color etc. You will be showcasing CDD stamps, dies, sequins and other products. You must be able to color images and be willing to promote CDD whenever and wherever possible. 3. 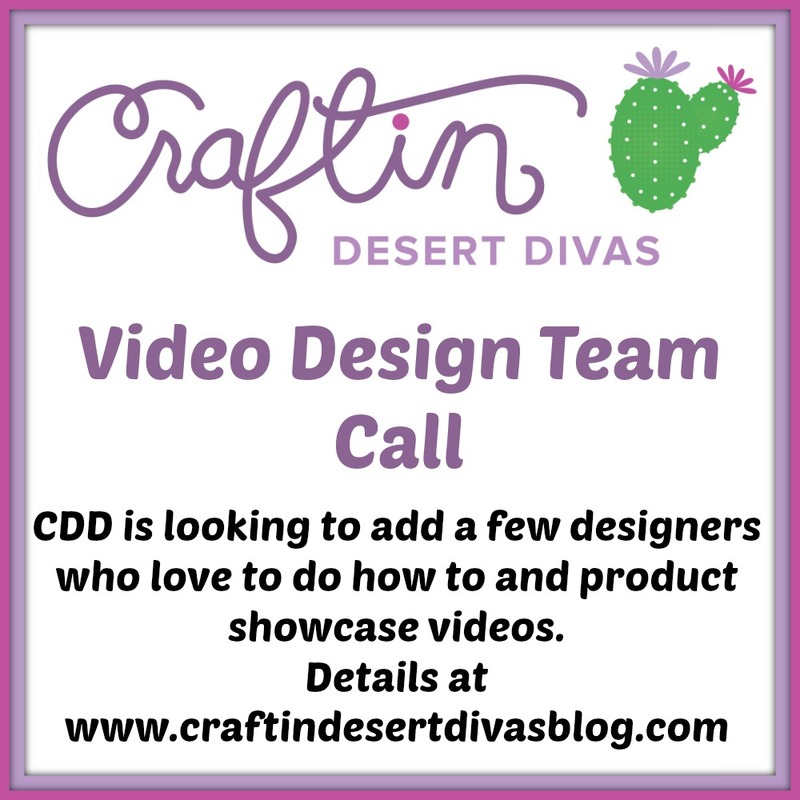 Must be able to post regularly to promote CDD products on blog, Facebook, Instagram, groups. 4. Great video skills and photographs of your projects is a must. 5. You will be making an average of at least 4 video projects a month, but at least 2 YouTube Videos a month. You may even be asked to do a step by step photo tutorial on the CDD blog. 6. Are active on You Tube, Facebook, Instagram and other social media outlets. 7. Are able to serve for at least 6 months. This first video DT call will be from May thru Dec. 2016. 8. You may be on other design teams. 9. This open to US & International applicants. Design Team members will receive free stamps, sequins and digi stamps and a generous discount to the CDD Shop. I will also send you a design team goodie bag to help get you started. 1. Choose 4 of your favorite videos. 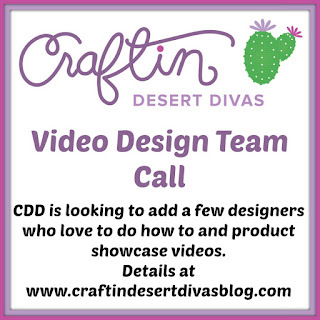 They can be videos you've created in the past or new ones you make just for this DT Call. Be sure you include projects that show off a range of your talents, including your use of stamps, including any coloring techniques you use. Image coloring and sentiment stamping are a must. Attach photos of your 4 projects that you've made videos for (mentioned above). Include links to the posts of the projects, if applicable. Your final project photos are very important too. Applications are due by April 30 , at 11:59 pm MST.